Memorial Day weekend is usually reserved for honoring those who have served for our country, BBQs with friends, and days at the beach. 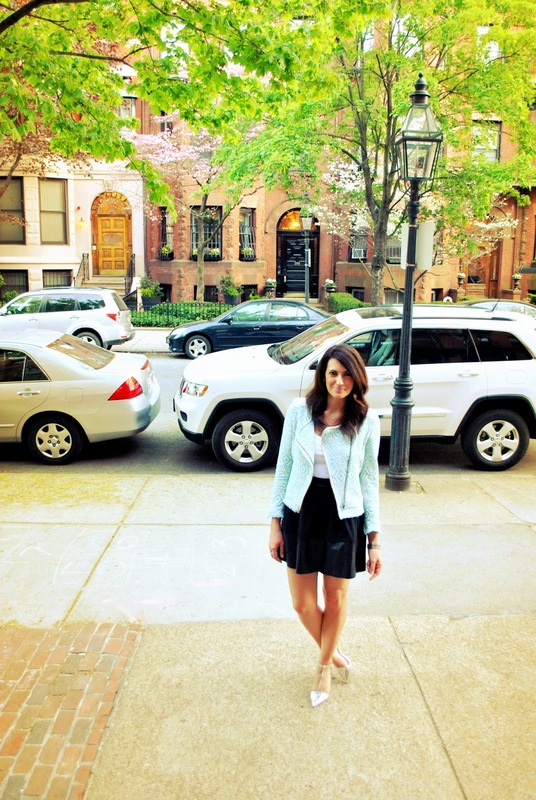 This year, I'm adding one more item to my MDW "to do" list: SHOPPING. This weekend only (5/24-5/27), JoJoLovesYou.com is having a huge sale on their "Bling" earrings! These beauties are not your typical stud earrings. Each pair is hand-crafted in JoJo's Boston studio using gorgeous Swarovski crystals. These earrings make the perfect addition to any outfit -- casual OR dressy. Or how about a gift for that recent grad you know? 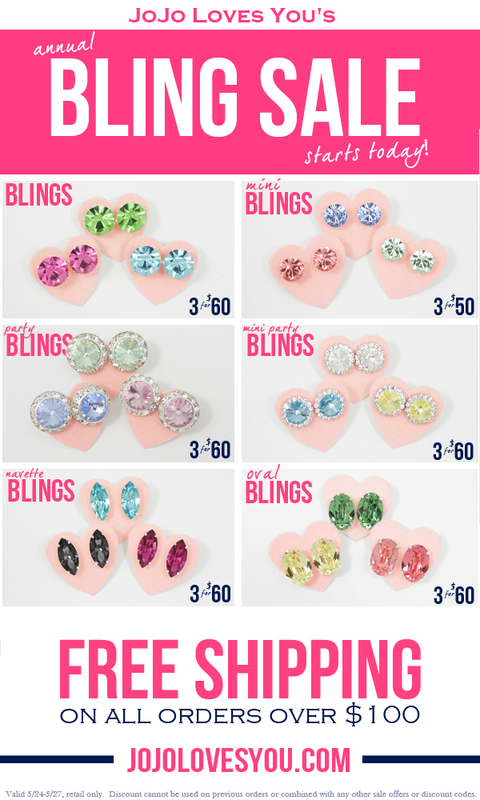 Most Bling variates are on sale for 3 for $60 and Mini Blings are 3 for $50! Not to mention they offer free shipping on orders over $100. Offer cannot be used towards previous orders and cannot be combined with any other coupon code. A special thanks to Elena for the pics! I NEVER in a million years thought I'd be digging the whole metallic thing. But I am, and now I'm obsessing over every single piece in this set. Add one of the above items to an otherwise understated outfit and BAM! Instant pizzazz. Would you wear any of these pieces? If so, what and how would you rock them?